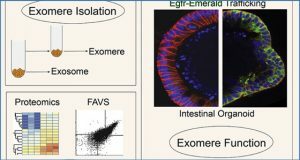 Exosomes are cell-derived circulating vesicles that play an important role in cell-cell communication. 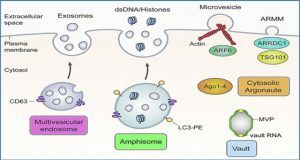 Exosomes are actively assembled and carry messenger RNAs, microRNAs and proteins. The “gold standard” for cardiac allograft surveillance is endomyocardial biopsy (EMB), an invasive technique with a distinct complication profile. The development of novel, non-invasive methods for the early diagnosis of allograft rejection is warranted. 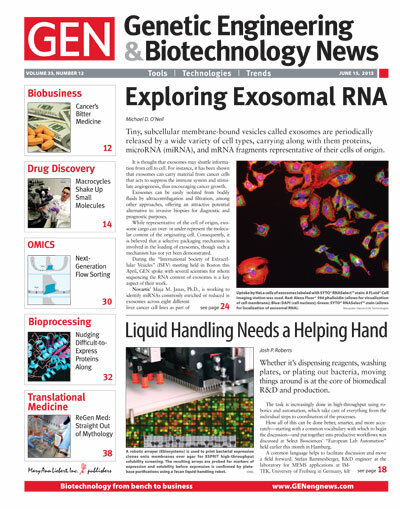 Columbia University Medical Center researchers hypothesized that the exosomal proteome is altered in acute rejection, allowing for a distinction between non-rejection and rejection episodes. Serum samples were collected from heart transplant (HTx) recipients with no rejection, acute cellular rejection (ACR) and antibody-mediated rejection (AMR). Liquid chromatography-tandem mass spectrometry (LC-MS/MS) analysis of serum exosome was performed using a mass spectrometer (Orbitrap Fusion Tribrid). Principal component analysis (PCA) revealed a clustering of 3 groups: (1) control and heart failure (HF); (2) HTx without rejection; and (3) ACR and AMR. A total of 45 proteins were identified that could distinguish between groups (q < 0.05). 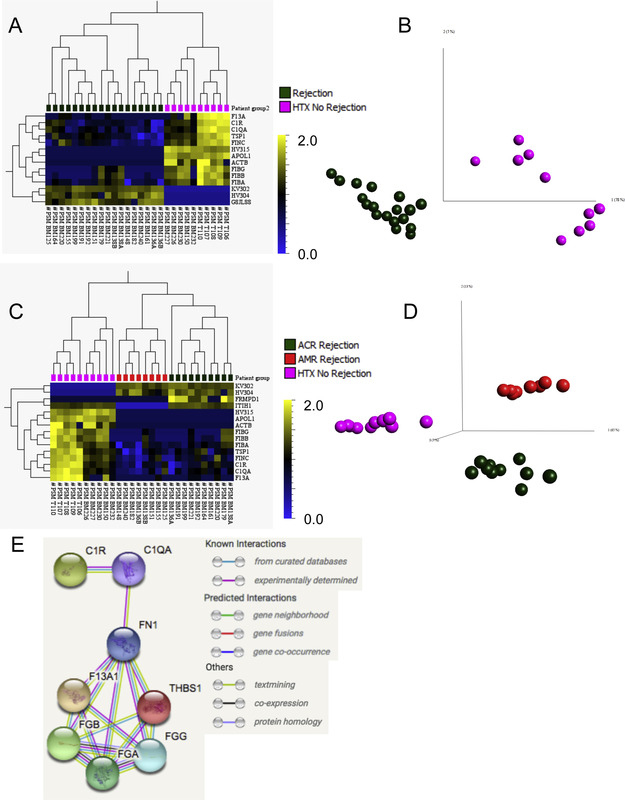 Comparison of serum exosomal proteins from control, HF and non-rejection HTx revealed 17 differentially expressed proteins in at least 1 group (q < 0.05). Finally, comparisons of non-rejection HTx, ACR and AMR serum exosomes revealed 15 differentially expressed proteins in at least 1 group (q < 0.05). Of these 15 proteins, 8 proteins are known to play a role in the immune response. Of note, the majority of proteins identified were associated with complement activation, adaptive immunity such as immunoglobulin components and coagulation. LIMMA empirical Bayes analysis of serum exosomal protein counts in non-rejection HTx [rejection (A, B) = AMR + ACR cohorts combined] ACR and AMR samples. No rejection vs ACR and AMR comparison identified 15 proteins (C) that could distinguish at least 1 group from the data set at q < 0.05. PCA (D) shows each of the 3 cohorts forming a distinct data cluster. Of these 15 proteins, 8 are associated with immmunologic processes. (E) Network view of associations between proteins found in the rejection vs no-rejection group. 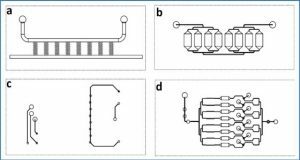 Functional enrichment analysis links the found proteins mainly to platelet degranulation, complement and coagulation cascade pathways. 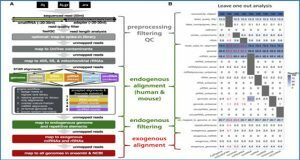 Characterizing of circulating exosomal proteome in different cardiac disease states reveals unique protein expression patterns indicative of the respective pathologies. These data suggest that HTx and allograft rejection alter the circulating exosomal protein content. 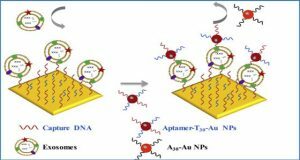 Exosomal protein analysis could be a novel approach to detect and monitor acute transplant rejection and lead to the development of predictive and prognostic biomarkers.